Purpose: Use this document to view your monthly schedule. (If you have multiple jobs, you can view each job). 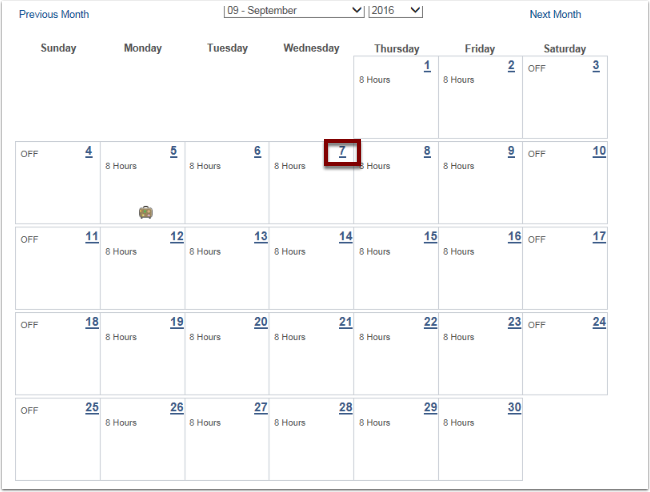 Each day number of the calendar month is a hyperlink showing greater detail of the scheduled day if applicable. Click on date to view details. 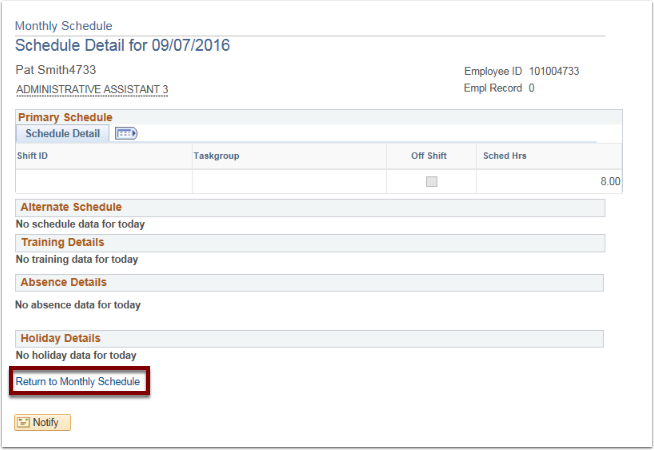 After reviewing selected date, click the Return to Monthly Schedule link.